We continue our journey across this enigmatic region, but before we leave the main continent we will go back to a far-away land where go is recently enjoying a new spark: Uruguay. Last year a group of players, along with some members of the old Uruguayan Go Association, got together to found the brand new Uruguayan Go Federation to promote this beautiful game. Initially they organized an online OGS tournament so they could get in touch with active Uruguayan players. Next they made an agreement with a local games store in Montevideo so they could gather as a club and play weekly. 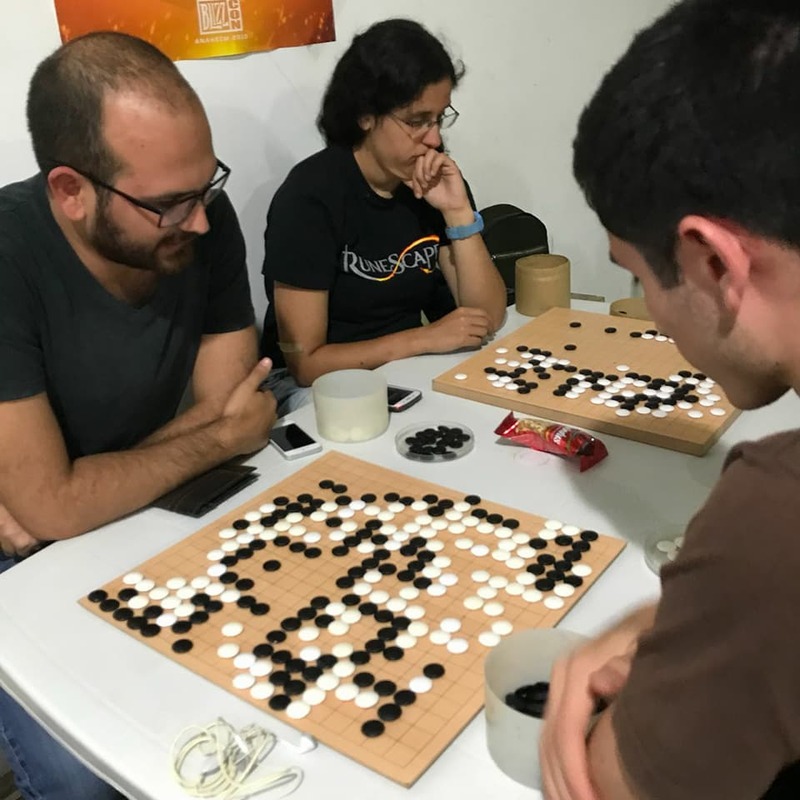 Now Uruguay is playing for the first time in the Pandanet Go Latin American Team Championship, which has increased their motivation and they are now looking for a bigger venue to gain more visibility, as well as to organise new tournaments. We wish the best of luck to Uruguay on this new stage of organisation! If you are interested in following the Uruguayan Go Federation’s activities, please visit their Facebook group. For our next destination we plunge into the Caribbean sea. White beaches framed by turquoise waters are the boundaries of what is the biggest go-playing country in all Latin America: Cuba. Cuba has by far the most go players out of all Spanish-speaking countries. ‘La Academia Cubana de Go’, i.e., the Cuban Go Association is a state-funded entity, which allows them a level of activity beyond what its neighbouring countries could manage. Media support has played a key role in spreading go, a sport which now has a widespread popularity among Cubans. La Academia Cubana de Go has more than 2,000 registered players, and they focus on three main aspects of the game: competitive, academic, and cultural. On the competitive aspect, they have a competition schedule on a national, provincial, and municipal level. The national competitions are organised by the Academia and at least five are held each year, in which players from all the provinces play. International players also participate. 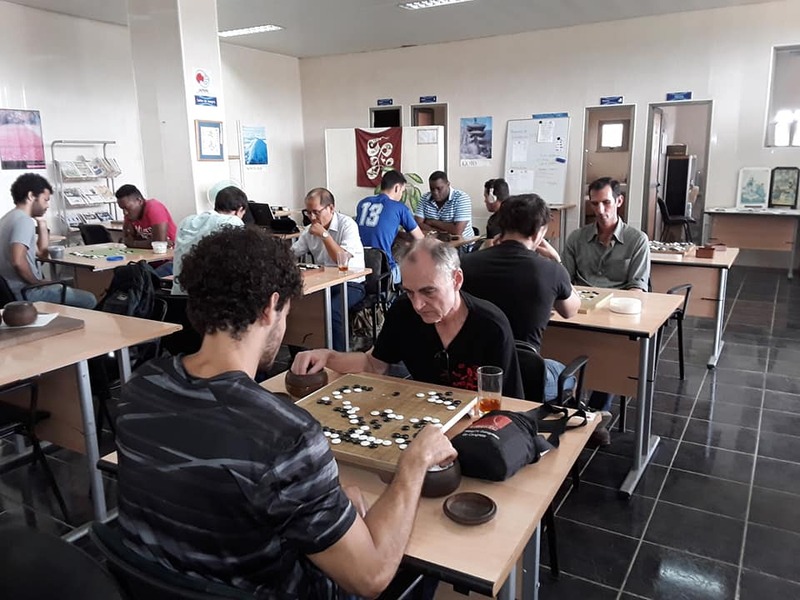 For example in last month’s Winter Cup, a couple of players from China and Austria, along with players from Santi Spiritus and Villa Clara provinces took part. On the provincial level, this month Camaguëy and Santi Spiritus held local events with some guests. On the municipal level, the matches are mainly between clubs or groups. Summer and Winter courses: they are taught in cultural institutions during summer break and holidays. Voluntary subject in Havana, Santi Spiritus and Camagüey Sport Universities, and also in ISA Arts University. Post graduate courses for Sport University graduates. To achieve all of this, Academia de Go has a well-structured teaching program and professional teaching staff. The College system allows senior students at Sport University who opt for the semestral go course to be part of the Academia’s teaching staff once they graduate. On the cultural aspect, they run a wide variety of exhibitions in cultural, environmental, and scientific centers. They are the founders of the Japanese Culture Study Cathedra at ISA Arts University with whom they run a lot of joint activities. They participate in the Book Fair at the Japanese and Chinese stands. Many more activities yet are organised by the Sports Ministry INDER. Cuba has made great achievements in the popularisation of the game, and they are truly an example for all countries on how to spread go. We strongly recommend you follow Academia Cubana de Go activities on their Facebook page. So far we have visited six countries, but our journey still has many destinations to come. Stay tuned for our next stop!